Interim Budget of India will always be the surprise for all of the Indians not only for the common man but for big business tycoons too.Everyone was so curious and eagerly waiting waiting for this announcement, everyone wants to know that this time their life will be changed with this budget or this will affect no where to common people. India's Interim Budget 2014-15 was presented yesterday by our former Finance Minister of Mr. P Chidambaram & Team. 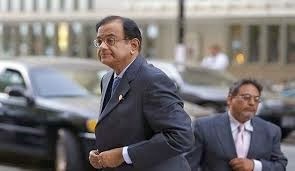 This time no changes in the tax slabs were noted and Mr. P Chidambaram with his team announced a subsidy scheme on education loans taken before March 31, 2009, a move which will help 9 lakh students. Here are the Highlights of the Interim Budget.